The Cuckoos may be a young band but they draw their influence from some of the classic bands including The Doors, Velvet Underground, Pink Floyd and Led Zeppelin. They’re some pretty big names to pitch yourself against. Mind you, their brand of psychedelic rock seems to be enjoying something of a renaissance these days. Musically, opening track “New Sunrise” has a really laid back, summer, hippy vibe to it. It has a feel which is equally 60’s summer of love and 90’s ‘madchester’ summer of love. However, the one thing that really dominates this EP is the fact that it really sounds like The Doors. This is particularly down to the voice of Kenneth Frost. It’s the way he sings and then uses screams to punctuate the songs. 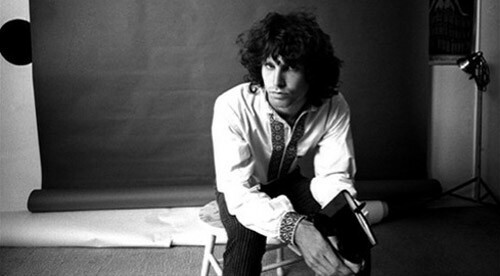 Strangely, it makes us think how few vocalists there are who have the similar ‘warm’ voice of Jim Morrison. It’s not just the vocals though, the music and arrangements are all very Doors esque. “Get It On” with its slide guitar is like a new version of “Peace Frog”. Whilst “It’s Too Late” has a swirling organ driving it along in a way that Ray Manzaerek would be proud of. Then if you’re more of a Robbie Krieger fan, check out “Stuck Dreamin’ Of The Girl Next Door” which is full of his laid back, psychedelic, slide guitar sound. Final song “A Little Bit Funky” comes as a bit of a surprise. It lives up to its title as it’s like a seventies funk number that could of appeared on Starsky and Hutch. Different, but a great funky little number. If we’re honest, we were initially in two minds about this release. As huge fans of The Doors we were inclined to be a bit snooty about a band so clearly enthralled by them. BUT, then we realised we really liked the songs which is the most important thing. Besides, so many other bands have blatantly taken the sounds of the Beatles (Oasis) or the Rolling Stones (Primal Scream), why shouldn’t The Doors be shown some love. At some time the Cuckoos may need to further develop their ‘own style’. But, in the meantime, there are plenty of good tracks on here to enjoy. If it also introduces a whole new generation of fans to the brilliant work of The Doors, then that can only be a good thing.